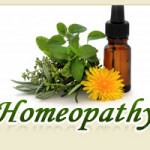 Homeopathic medicine offers a real, natural complement for treating illness. Instead of giving one medicine for a person’s headache, another for constipation, another for anxiety and yet another to counteract the effects of one or more medicines, the homeopathic practitioner prescribes a single medicine where the intention is to stimulate the immune and defense capacity while bringing about an overall improvement in that person’s health. 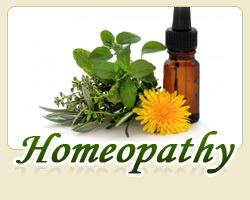 Homeopathy is based on the theory that the body strives to maintain health by promoting a balance. For example, when foreign bacteria combats the body, an imbalance has occurred. The body would try to restore health by producing antibodies to fight the bacteria, and as a consequence cause perspiration to prevent the body from overheating. The human organism is very wise and adaptive, always attempting in the best way possible to maintain harmony within itself. Symptoms such as fever represent signs that the body’s natural defense mechanism is attempting to restore internal balance. Symptoms are the result, not the cause, of an unhealthy state. To a homeopath, much of what we label as “diseases”, such as Strep throat, hay fever, irritable bowel syndrome and depression, are merely collections of symptoms, which reflect a deeper, immaterial disharmony. The homeopath would use the symptoms to understand what the body is trying to accomplish, and prescribe a natural remedy to assist the body’s efforts and prevent any type of relapse or evolution of the problem. To meet this end, a detailed history is required to understand ALL of you, including mental, emotional and physical aspects, which in their totality reflect the whole individual. In simple terms, homeopathy is the system of treating disease, which gives support to the wisdom of the body, and the small doses of homeopathic remedies ensure that no side effects are created. A homeopaths goal is to record all of your symptoms so that the appropriate remedy matching those symptoms can be chosen, and used to improve your overall health. The key is rebalancing, on a holistic and individual level, whereby considering the mental and emotional state of the patient in addition to the outward physical complaints. ONWC is proud to introduce Raj Vallabh as our Homeopath and Biomeridian Clinician. New patients are encouraged to make appointments by calling ONWC at 905-825-9996.